Maritzburg United have confirmed the signing of former Orlando Pirates player, Manti Moholo on a 3 (three) year deal, on Wednesday. 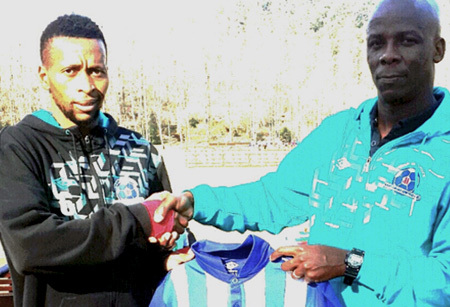 The 29 year old has previously been loaned out by the Bucaneers to Lamontville Golden Arrows and Chippa United. The Team of Choice are looking to bolster their midfield with the central midfielder as Mandla Ncikazi and Fadlu Davids, the newly appointed Head Coach and assistant coach respectively, take the team through its paces in camp in the KZN Midlands. Moholo has joined his new team mates in camp and is fitting in with the likes of Kurt Lentjies and skipper Ashley Hartog in the middle of the park for United. The Team of Choice are preparing for the upcoming season, hoping to improve on a very good performance last season, that saw them finish in the top eight for the first time. Speaking to the club's communications Manager Brian Zuma, Moholo said: "I feel honoured to be at United, it's a good team. Finally I can say I have found a home." When asked what his goal is at the club he said: "I'm here to add to what the club has achieved." Head coach Mandla Ncikazi had this to say about the playmaker:" I like him, I hope he will have a positive impact in the middle of the park when called upon to perform." M\Maritzburg United have confirmed the signing of former Orlando Pirates player, Manti Moholo on a 3 (three) year deal, on Wednesday.